Calcium, an ubiquitous cytoplasmic second messenger, controls numerous physiological events and is also involved in cellular pathology. Either excess or deficit of cytoplasmic calcium could initiate cellular malfunction and result in cellular death. 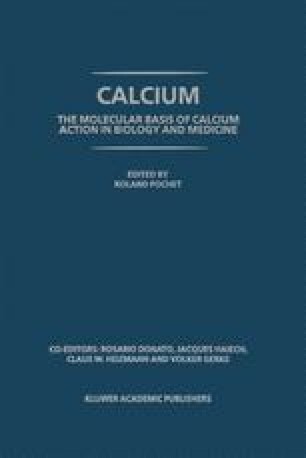 As will be highlighted in this volume, intracellular calcium is regulated by co-ordinated activity of several molecular cascades, represented by calcium transporters (i.e. ion channels, pumps and exchangers) and calcium binding proteins. Any unbalance of this delicate ensemble of calcium handling proteins may result in fatal consequences for living tissues.